Best known for its ‘euro’ colourways and some of the best price points in the market, Cube has clearly decided it’s time to depart from previous reputations and hit the performance end of the market and its new Aerium Super HPC range certainly looks to do just that. The lineage from Cube’s previous Aerium is just about traceable, but this time in a much more aggressive looking format. On the whole, the full carbon range has been tidied up and smoothed out, with details such has hidden brakes in forks and under chainstay contributing to the look. The oversized head tube cleanly meets with a bespoke stem, which although only available in two lengths (58mm and 93mm) is flippable, giving an extra 30 or 50mm of height respectively. The cross tube profile has be flattened in line with current aerodynamic shaping and a seamless looking junction created between seat tube and teardrop seatpin, which is also available in two sizes, between them offering up to 50mm of adjustment. The stealthy looking range has been developed with assistance from a well known car manufacturer and wind tunnel tested. 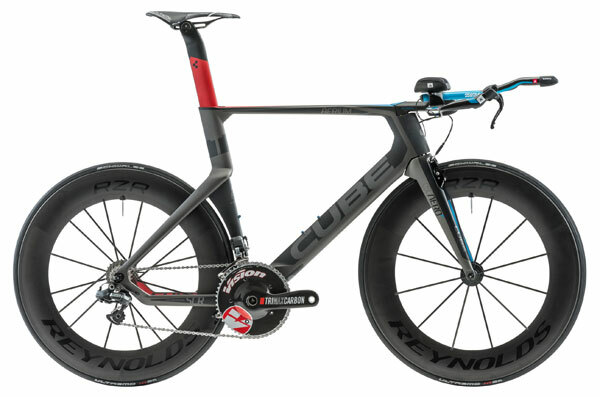 The result according to Cube, is not only aerodynamic, but thanks to its twin mold carbon technology, lightweight; the range topping SLT apparently weighing just 7.4kg. The full finishing kit specification is yet to be finialised, but with a price tag knocking on the door of £10k for the SLT you know it’s got to be pretty Gucci. A UK arrival date is yet to be set, but when the range does land it will be available in sizes Small (49cm) to X Large (59cm). If getting £10,000 to spend on a bike through the home accounts is likely to be met with a big fat NO, then its worth bearing in mind cheaper options in the Aerium range. 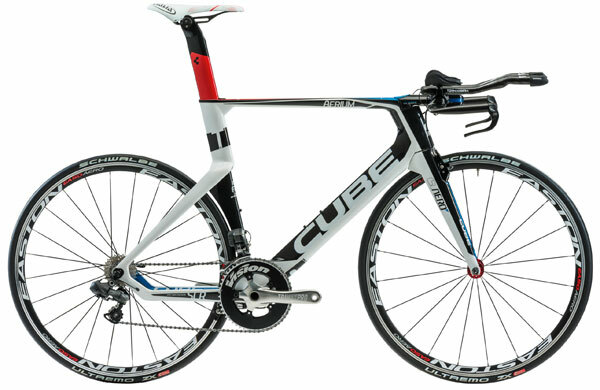 The SHPC Race uses exactly the frame and fork platform as the SLT and Cube hope to kit the full bike out in Ultegra Di2 for a slightly more realistic price of £3799.